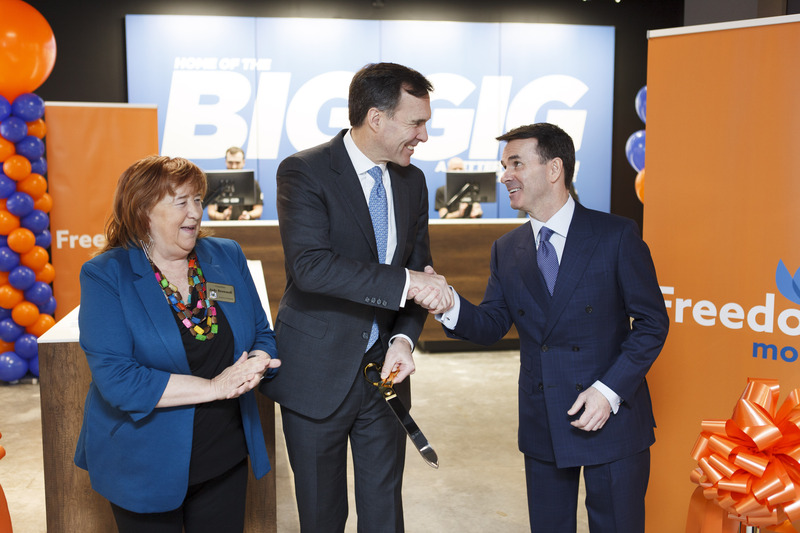 CALGARY, February 8, 2019 – Shaw Communications Inc. today announced that more Canadians can now experience the affordable, accessible and abundant data plans that have disrupted the Canadian marketplace with the launch of Freedom Mobile in Victoria, B.C. and Red Deer, Alta. 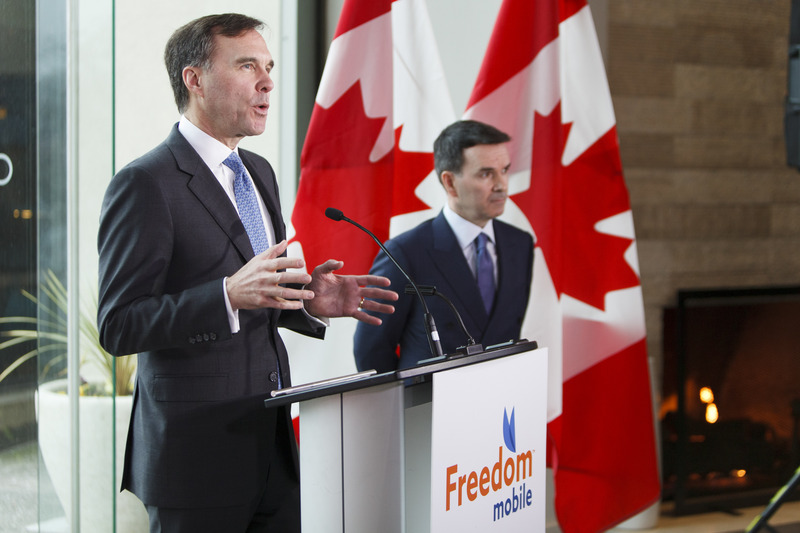 Victoria, February 8, 2019: Finance Minister Bill Morneau and Paul McAleese, President, Wireless, Shaw Communications announced the entry of Freedom Mobile to the Victoria market at an event held Friday, February 8, 2019. Freedom Mobile will give consumers in Victoria and surrounding communities greater choice and more affordable options for cellular service. 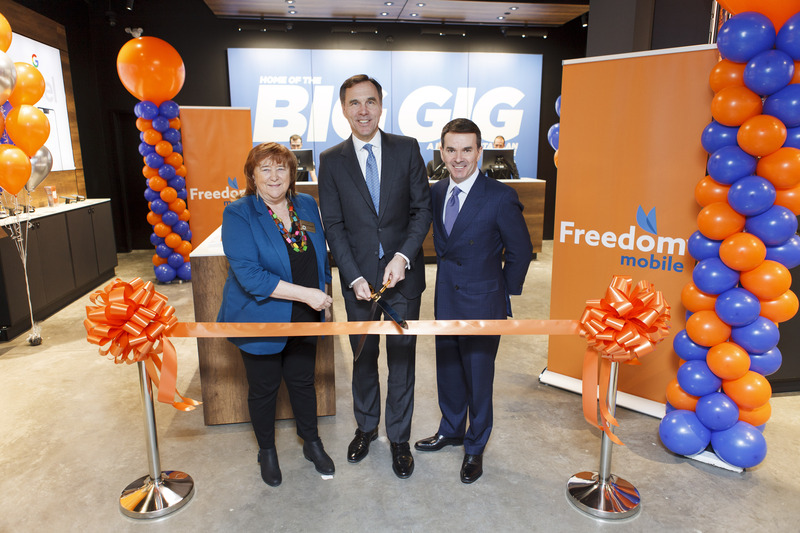 Victoria, February 8, 2019: (L to R) Judy Brownoff, Deputy Mayor of Saanich, Finance Minister Bill Morneau and Paul McAleese, President, Wireless, Shaw Communications cut the ribbon to officially open Freedom Mobile’s newest retail location at the Uptown Shopping Centre in Victoria on Friday, February 8, 2019. Freedom Mobile will give consumers in Victoria and surrounding communities greater choice and more affordable options for cellular service.